Defense of the Korean Peninsula. The 7th Fleet was formed on March 15, 1943 in Brisbane, Australia, during World War II. It served in the South West Pacific Area (SWPA) under General Douglas MacArthur, and the 7th Fleet commander also served as commander of Allied naval forces in the SWPA. USS Princeton (CVL-23) of the 3rd Fleet on fire east of Luzon at the Battle of Leyte Gulf.Most of the ships of the Royal Australian Navy were also part of the fleet during 194345. The 7th Fleet formed a large part of the Allied forces at the Battle of Leyte Gulf, October 1944, which is often said to have been the largest naval battle in history. After the end of the war, the 7th Fleet relocated to Japan. The fleet also participated in the Korean and Vietnam Wars, and afterwards conducted operations near North Vietnam. Following this, its next major combat action was in the Persian Gulf War, wherein it was placed under the command of NAVCENT (Naval Forces, U.S. Central Command). After the war ended, it was returned to the Pacific Fleet. Following the end of the Cold War, the two major military scenarios in which the 7th Fleet would be used would be in case of conflict in Korea or a conflict between The People's Republic of China and Taiwan in the Taiwan Straits. Of the 5060 ships typically assigned to Seventh Fleet, 18 operate from U.S. facilities in Japan and Guam. These forward-deployed units represent the heart of Seventh Fleet. The 18 permanently forward-deployed ships of the US 7th Fleet are the centerpieces of American forward presence in Asia. They are 17 steaming days closer to locations in Asia than their counterparts based in the continental United States. It would take three to five times the number of rotationally-based ships in the United States to equal the same presence and crisis response capability as these 18 forward deployed ships. On any given day, about 50 percent of Seventh Fleet forces are deployed at sea throughout the area of responsibility. The Seventh Fleet Command Ship is the USS Blue Ridge, forward deployed to Yokosuka, Japan. In 2004, Blue Ridge entered dry dock and command responsibility was transferred temporarily to USS Coronado (AGF-11). Blue Ridge returned to duty 27 September 2004. For operational and administrative purposes the United Sates Seventh Fleet, as with other numbered fleets, is organized into several specialized task forces. 7th Fleet Task Force 70  TF 70 the Battle Force of 7th Fleet and is actually made up of two distinct components: Surface Combatant Force 7th Fleet, composed of cruisers and destroyers, and Carrier Strike Force 7th Fleet, made up of at least one aircraft carrier and its embarked air wing. The Battle Force is currently centered around the carrier USS Kitty Hawk (CV-63) and Carrier Air Wing 5 (CVW-5). Task Force 72  TF 72 is the Patrol-Reconnaissance Force of the Seveth Fleet. It is mainly composed of anti-submarine warfare (ASW) aircraft and maritime airborne surveillance platforms such as P-3 Orion and EP-3 reconnaissance planes operating on land bases. Task Force 73  7th Fleet's Logistics Force composed of supply ships and other fleet support vessels. Task Force 74  Fleet Submarine Force responsible for planning and coordinating submarine operations within 7th Fleet's area of operations. Task Force 75  Designation of the Surface Combatant Force assigned to Seventh Fleet responsible for the cruisers and destroyers. Task Force 76  Amphibious Assault task force mainly responsible for supporting Marine landing operations. It is composed of units capable of delivering ship-to-shore assault troops, such as Tarawa-class and Wasp-class amphibious assault ships, and landing craft. Task Force 77  Another designation for the Carrier Strike Force of the 7th Fleet. This, however, refers specifically only to the aircraft carrier(s) assigned to the fleet and its associated air wing. Task Force 79  The Marine Expeditionary Unit or Landing Force assigned to the fleet, consisting of at least a reinforced Marine battalion and its equipment. A Pacific Fleet was created in 1907 when the Asiatic Squadron and the Pacific Squadron were combined. In 1910, the ships of the First Squadron were organized back into a separate Asiatic Fleet. 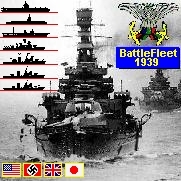 The General Order of 6 December 1922 organized the United States Fleet, with the Battle Fleet as the Pacific presence. The fleet's modern incarnation dates from the splitting of the United States Fleet into the Atlantic and Pacific fleets prior to World War II. Until May 1940, the fleet was stationed on the west coast of the United States. During the summer of that year, as part of the U.S. response to Japanese expansionism, it was instructed to take an "advanced" position at Pearl Harbor, Hawaii. Long term basing at Pearl Harbor was so strongly opposed by the commander, Admiral James O. Richardson, that he personally protested in Washington. Political considerations were thought sufficiently important that he was relieved by Admiral Husband E. Kimmel, who was in command at the time of the attack on Pearl Harbor. Rear Admiral Claude C. Bloch commanded the local Naval District at Pearl, as distinct from the fleet, at the time of the attack. Guns Girls Lawyers Spies is a turn-based strategy trade management game. You'll build your multinational spy company, destroy competition, hire employees, spies, and businessman, establish spy cells, bases and objects. 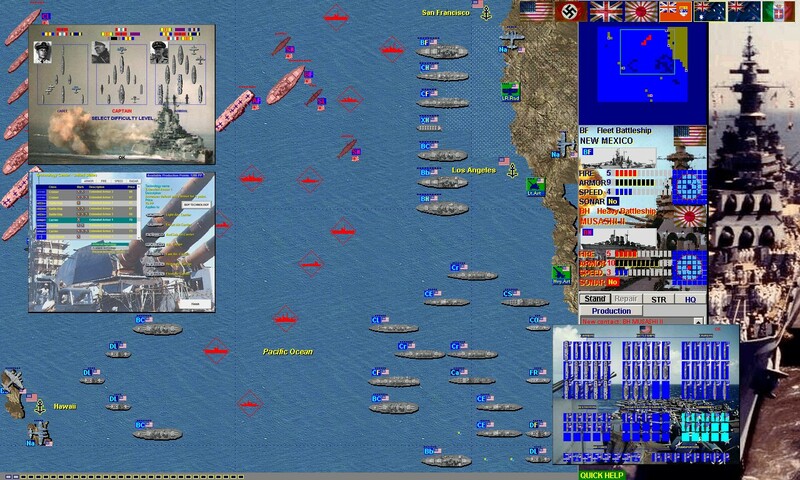 Since 1945 the Pacific Fleet has been involved in the Korean War, the Vietnam War, the two Taiwan Straits Crisiss, and a number of other operations including the Mayaguez Incident of 1975. The RIMPAC exercise series began in 1971. The very large PACEX '89 in the North Pacific involved the USN, Canadian Navy, Japanese Maritime Self-Defence Force, and ROK Navy. At the end of Exercise PACEX '89 a 54 ship formation was assembled for photos. It included the flagship, USS Blue Ridge, the USS Enterprise Battle Group, the USS Carl Vinson Battle Group, two battleship surface action groups formed around the USS New Jersey and USS Missouri, and a Japanese Maritime Self-Defence Force task force. Later ships of the Pacific Fleet, notably the Ticonderoga class cruiser USS Mobile Bay provided support to the entry of INTERFET in East Timor in 1999. As of 2011, the Pacific Fleet consists of the numbered Third and Seventh Fleets, as well as Naval Air Force, Pacific; Commander, Naval Surface Forces Pacific; Naval Submarine Force, Pacific; and other commands. The naval shore commands Commander Naval Forces Korea; Commander Naval Forces Japan; and Commander Naval Forces Marianas are also under the authority of the Pacific Fleet. In response to the Iraqi invasion of Kuwait on 2 August 1990, President George H. W. Bush ordered Commander, U.S. Seventh Fleet to assume additional responsibilities as Commander, U.S. Naval Forces Central Command. The Fleet Commander departed Yokosuka, Japan immediately, heading for the Persian Gulf, and joined the remainder of his staff aboard the flagship Blue Ridge on 1 September 1990. During Operation Desert Shield and Operation Desert Storm, Naval Forces Central Command exercised command and control of the largest U.S. Navy armada since the Second World War. At the peak of combat operations, over 130 U.S. ships joined more than 50 allied ships to conduct maritime intercept operations, minesweeping and combat strike operations against enemy forces in Iraq and Kuwait. Naval Forces Central Command included six aircraft carrier battle groups, two battleships (Missouri and Wisconsin), two hospital ships, 31 amphibious assault ships, four minesweeping vessels and numerous combatants in support of allied air and ground forces. After a decisive allied victory in the Gulf War, Commander U.S. Seventh Fleet relinquished control of Naval Forces Central Command to Commander, Middle East Force on 24 April 1991 and returned to Yokosuka, Japan to resume his Asia-Pacific duties. In 1996, two aircraft carrier battle groups were sent to the Taiwan Straits under Seventh Fleet control to demonstrate U.S. support for Taiwan during the Third Taiwan Strait Crisis. The Nimitz battle group (CCDG 5?) made a high speed transit from the Persian Gulf, while Carrier Group Five, led by Independence, sortied from its Japanese homeports.